It was all glamour as Ugandan billionaire, Sudhir Ruparelia’s son Rajiv Ruparelia wedded his fiancé Naiya Khagram. The memorable function was held in London, UK on Sunday (August 20th, 2017). It will be remembered that Rajiv had proposed to Naiya and she said “Yes” in November 2016 in London. The Ruparelias were joined by their close friends and family members who according to photos that we have received, enjoy the beautiful evening as they sip wine and have fun as they witness the union of the beautiful couple. 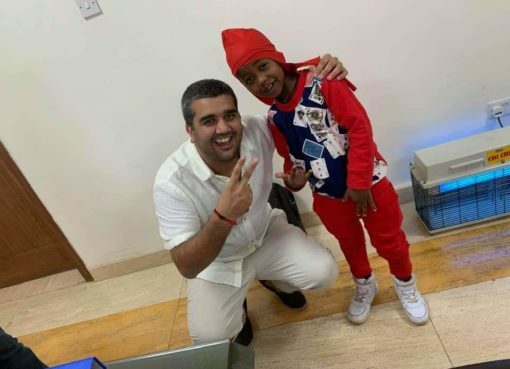 The Ruparelia family is also expected to organize another wedding party for Rajiv and Naiya later in Uganda at Common Wealth Resort – Munyonyo. Does Odinga’s Petition against Kenyatta Victory Hold Water?